Warner Home Video released the second to last movie in the much loved fantasy series, Harry Potter and the Deathly Hallows Part 1, on DVD and Blu-ray on April 15, 2011. 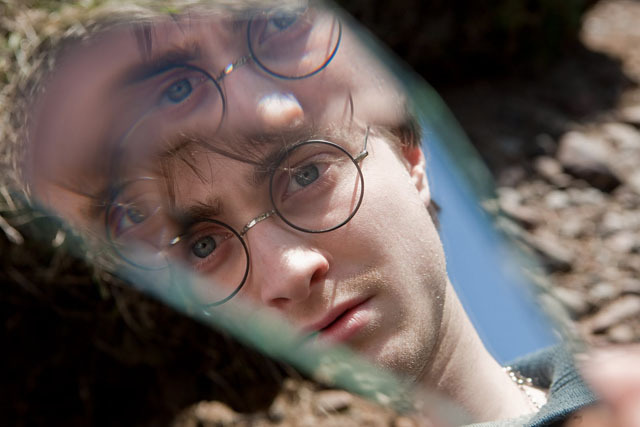 In the seventh movie, Harry (Daniel Radcliffe), Ron (Rupert Grint) and Hermione (Emma Watson, all from earlier Harry Potter films) go in search of the remaining Horcruxes, the last magic stopping them from defeating the evil Voldemort (Ralph Fiennes, Red Dragon), whose power has now grown so strong that he has control over the Ministry of Magic and Hogwarts. Representing only half of the final novel in the series written by J.K. Rowling , Deathly Hallows Part 1 also stars Alan Rickman (Love Actually), Helena Bonham Carter (Alice in Wonderland) and Bill Nighy (Pirate Radio). The PG-13 movie grossed a whopping $291 million in theaters, but we don’t need to tell you it’s popular. The list price of the Blu-ray/DVD combo pack was $39.95. The DVD was listed for $28.98, and the single Blu-ray was listed for $29.98. The movie also was made available in a Harry Potter Years 1-7: Part 1 Gift Set on DVD and Blu-ray , priced at $78.92 and $134.99, respectively. Harry Potter and the Deathly Hallows also is in line for conversion for Blu-ray 3D.